What are the most important features and enhancements with 3GPP Release 5, 6 and 7? How will the IMS influence the future evolution of GERAN and UTRAN? What is the difference between UMA, Generic Access, “I-WLAN direct IP-access” and “I-WLAN 3GPP IP-Access”? How does EAP-SIM achieve mutual authentication although the SIM cannot provide it? How are IPsec-tunnels established between mobile station and network entities like GANC or PDG using IKEv2? How does IKEv2 operate in detail? How does HSDPA operate and how does it achieve its higher throughput rates? What are the new channels with HSDPA? How does HSUPA operate and how can it use a spreading factor of 2? Which new channels does HSUPA require and how do they operate? How does MBMS operate and what are the differences between MBMS and DVB-H? 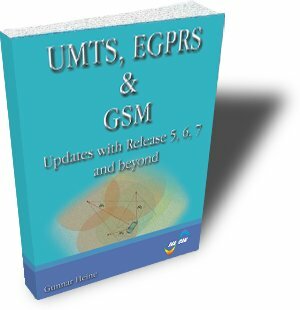 Which new channels does MBMS introduce in UTRAN and in GERAN? What is Downlink Dual Carrier Operation in GERAN Release 7 and how does it operate? How do MIMO-systems operate and how can they achieve their performance? How does E-UTRA apply OFDM? Engineers, technicians and managers in charge who need to understand in detail the upcoming changes within 3GPP-networks and the implications for their work. Network Operators who need to know which features will become available in the medium term future and how to introduce them.